Scott Knowles reports from the first of the Conference Premier Groundhop that took place on Non League Day. On the occasion of the last Non League Day to take place, on the 3rd of September 2011, Macclesfield Town travelled to Torquay for a League Two fixture that they went on to lose by three goals to nil. It wasn’t cause for too much concern for the Silkmen at the time – in their three prior matches they had picked up seven points, scored eight goals, and conceded none with hopes still high amongst the most optimistic that the campaign could possibly end in a play-off push. History proved otherwise and, following a wretched run in the new year that saw them fail to win a single game, Macclesfield Town were relegated from the Football League as the side bottom of the table with a meager 37 points (30 of which they had picked up before January). Fast forward to Non League Day 2012 and Blue Square Bet organised a Cheshire themed groundhop for the occasion with fans getting the chance to witness three Conference National games in quick succession. The first of these games was at the Moss Rose where Macclesfield faced league leaders Newport County, before taking in the relative delights of Stockport County (taking on Kidderminster) and ending at Hyde (versus Tamworth). Given the quality of teams on display in the other two games Macclesfield and Newport’s more arrogant fans would be forgiven for thinking that their game was akin to the Beatles opening for Gerry and the Pacemakers and The Searchers. For Macc Town the Non League Day procession seemed barely more than a distraction from the task of getting their season back on track. The Silkmen had started the campaign unexpectedly brilliantly and won six of their first eight games to go top of the table. Then something happened – the demons of last seasons poor run perhaps rearing their heads again – and the following five matches prior to Saturday saw the side pick up only two further points to slip back down the table. The visit of league leaders Newport was a chance to send out a statement to the league that Macc were back in business, and re-instill a confidence in the players that had seemed to ebb away with each game they had subsequently failed to win. Despite the hype surrounding Non League Day and the Ground Hop the actual match day experience was largely unchanged bar an increase in photographers (some of whom were impossibly young and looked more suited for a role within a terrible ska-punk band) and a gaggle of specifically attractive ladies in Blue Square Bet jumpers handing out betting leaflets with the days odds on them. Throughout the first half spots of rain threatened to materialise into something more substantial without ever coming to much. In that respect it mirrored Macc Towns attacking intentions on the pitch where once more they seemed lacking in ideas on how to break the opposition down. It’s difficult to pinpoint exactly what has gone wrong with the Silkmen. The early performances that propelled the team to the top of the league were part swagger and bravado and a large chunk of luck. On numerous occasions a combination of their opponents terrible finishing when presented with a goal scoring opportunity and generous refereeing (Macc have been awarded four penalties already this season – more than one of which could be described as dubious at best) had seen the side pick up all three points. More recently the performances have nose-dived. The once mercurial midfielder John Paul-Kissock has become marked out of games and without his influence the side seem to have struggled. Off the pitch distractions have hardly helped. The recent resignation of life-long fan Mike Rance as Chairman has led to a sense of panic amongst some fans and a split between those who believe the club are financially dicing with death and others who think there is nothing to worry about. The chairman of the Silkmen Supporters Trust had a meeting with the clubs owners last Thursday to discuss the concerns being raised but nothing yet has been heard of what was said. 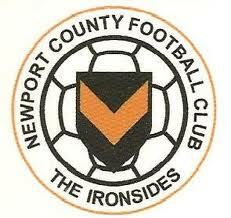 When Newport County took the lead shortly before half-time there was a feeling of inevitability about it. The Welsh side had played reasonably well in the first forty-five – with a confidence on the ball and ease of pass that suggested they were good for their place at the summit of the table. The goal came from a free-kick that Macc keeper Cronin parried into the path of Newport defender Tony James who really couldn’t miss. Injury time saw another ‘couldn’t-miss’ chance, this time for Aaron O’Connor, but when presented with the ball by Cronin six yards from the goal he chose instead to fire his shot somewhere toward the roof of the stand. A massive let-off for the home side. 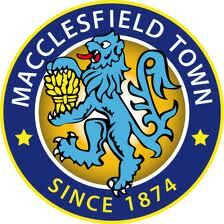 It was a different Macclesfield that came out after the break. Perhaps buoyed by a team talk from manager King (who was sent to the stands for the second half due to a disagreement with the referee over the free kick that led to the Newport goal) the performance in the second half was a turning back of the clock to the sort of early season showings where the ball was dominated and the opponents put under a near constant pressure by the Macc front line. For the majority of the half though it seemed like the Silkmen, for all their possession, might not be able to discover a way past their opponents defense. Crosses were often over-hit and frequently the likes of Mendy and Kissock received the ball at the edge of the Newport box but, to the increasingly frustration of the home crowd, spurned a shooting chance in favour of a sideways pass that came to nothing. When Macc did get a clear view of goal they found their chances either saved well by Newport stopper Pidgeley or fired wide. Even the arrival of substitute Ben Mills, prolific during a recent loan spell at Chester where he scored nine in eight games, couldn’t seem to perk up the Macc attack enough to make a breakthrough. When the equaliser eventually came, and it did, it came as no surprise to find it was put away finely by Matthew Barnes-Homer. The well traveled forward has looked every inch one of the finest number nines Macclesfield have had in recent times and his perfectly struck header, eight minutes from time and his tenth of the season so far, earned the home side a point they will feel was the least they deserved. In the dying minutes the Newport players seemed to collectively remember they too were supposed to be involved in the match and mounted a not entirely convincing attempt at regaining the lead. Macc too threw on another forward in Waid Fairhurst in the hopes of stealing the three points but it wasn’t to be and before long the final whistle brought proceedings to a satisfactory end. As both sets of fans trudged out of the Moss Rose they could, on reflection, be fairly pleased with the result. For Newport it was a battling point gained away at a recently relegated side who up until recently were right up there at the top of the table. For Macclesfield it was another point rescued from a losing position, though if the club has serious aspirations to not be involved when the next Non League Day comes around they need more performances like the one displayed in the second half and much less like the first. For the ground hopping neutrals it had been an entertaining clash between two of the leagues heavyweights and as they lined up in the dimming light to board the coach, Blue Square Bet ladies welcoming them on with not entirely enthusiastic faces, they still had the prospect of Gerry and the Pacemakers and The Searchers yet to view. And you know what? They wouldn’t have it any other way. Posted on October 15, 2012, in UTL Archive and tagged Conference Premier, Macclesfield Town, Newport County, Non League Day. Bookmark the permalink. 1 Comment.